Tai Chi has been practiced for thousands of years with benefits for health and longevity. Tai Chi training is designed to enhance function and regulate the activities of the body through regulated breathing, mindful concentration, and gentle movements. Only recently though have the effects of Tai Chi practice been scrutinized with empirical research. It has been found to be effective for an array of physical and psychological issues. It appears to strengthen the immune system, reduce inflammation, increase the number of cancer killing cells in the bloodstream and improve cardiovascular function. Because Tai Chi is not strenuous, involving slow gentle movements, and is safe, having no appreciable side effects, it is appropriate for all ages including the elderly and for individuals with illnesses that limit their activities or range of motion. So, with indications of so many benefits it makes sense to explore further the effects of Tai Chi training on physical and psychological well-being. In today’s Research News article “Effect of Tai Chi Synergy T1 Exercise on Autonomic Function, Metabolism, and Physical Fitness of Healthy Individuals.” (See summary below or view the full text of the study at: https://www.hindawi.com/journals/ecam/2018/6351938/ ), Tai and colleagues recruited adults and randomly assigned them to either participate in 12 weeks, once a week for 60 minutes, of either Tai Chi synergy T1 exercise or a metabolically equivalent walking exercise. “Tai Chi synergy T1 exercise is an aerobic exercise composed of movements derived not only from Tai Chi exercise but also from Eight Trigrams Palms, form and will boxing, mantis boxing, Qigong, and Yoga . . . The 60-minute exercise involves 4 exercise elements: handwork, trunk work, legwork, and whole-body work. The 3 levels of exercise intensity, light, average, and heavy, are adjusted according to the tolerance and fitness of the exerciser.” The participants were measured before and after the 12 weeks of training for body size and fatness, heart rate and blood pressure, serum glucose and cholesterol, physical fitness, bone density, and cell counts of immune regulator cells, including T cells, CD3+ cells, CD19+ B cells, CD16-CD56- cytotoxic T cells, and CD16+CD56+ NK/T cells. 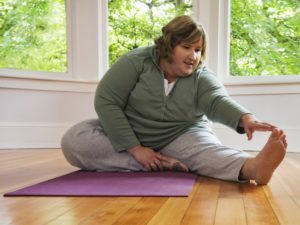 They found that both exercises decreased the Body Mass Index (BMI) indicating decreased body fatness and also increased parasympathetic control of heart rate and blood pressure suggesting reduced activation and greater relaxation. Tai Chi synergy T1 exercise, but not walking, was found to significantly improve physical fitness and reduce blood levels of glucose and cholesterol. Tai Chi synergy T1 exercise was also found to improve immune system function as indicated by significantly increased T cells, CD3+ T cells, CD19+ B cells, and CD16+CD56+NK cells and significantly decreased CD3+ cytotoxic T cells. These results are impressive especially as the group sizes were relatively small, 26 and 23 participants. They suggest that Tai Chi synergy T1 exercise is safe and effective in improving the physical health of participants; improving body fatness, physiological relaxation, physical fitness, and immune system function. Metabolically equivalent walking exercise also improved physical health, but not to the same extent as Tai Chi synergy T1 exercise. It is well established that exercise is important for health. There’s no question there. There is, however, a question as to what exercises may be best for which group of people. Tai Chi and similar mindful movement exercises have been shown to improve cardiovascular fitness, muscle recovery after exercise, movement and flexibility, and immune and metabolic function. The present study demonstrated that a particular form of augmented Tai Chi is very effective in improving health. It would be interesting to compare the effectgiveness of various forms of mindful movement prctices. So, improve autonomic function, metabolism, and physical fitness with Tai Chi. Hsu-Chih Tai, Yi-Sheng Chou, I-Shiang Tzeng, et al., “Effect of Tai Chi Synergy T1 Exercise on Autonomic Function, Metabolism, and Physical Fitness of Healthy Individuals,” Evidence-Based Complementary and Alternative Medicine, vol. 2018, Article ID 6351938, 7 pages, 2018. https://doi.org/10.1155/2018/6351938. Objectives. Tai Chi synergy T1 exercise is an aerobic exercise derived mainly from Tai Chi exercise. It is also derived from the Eight Trigrams Palms, form and will boxing, mantis boxing, Qigong, and Yoga, with a total of 16 sessions in 63 minutes. In this study, we investigated its effects on autonomic modulation, metabolism, immunity, and physical function in healthy practitioners. Method. We recruited a total of 26 volunteers and 23 control participants. Heart rate variability (HRV), blood pressure, and body mass index (BMI) were recorded before and after practicing Tai Chi synergy T1 exercise and regular walking for 10 weeks, respectively. Serum glucose, cholesterol, and peripheral blood including B and T cell counts were also measured. They underwent one-minute bent-knee sit-ups, sit and reach test, and three-minute gradual step test. Results. Tai Chi synergy T1 exercise enhanced parasympathetic modulation and attenuated sympathetic nerve control with increased very low frequency (VLF) and high frequency (HF) but decreased low frequency (LF) compared to the control group. Metabolic profiles including serum glucose, cholesterol, and BMI significantly improved after exercise. The exercise enhanced innate and adaptive immunity by increasing the counts of CD3+ T cells, CD19+ B cells, and CD16+CD56+ NK cells but decreasing the CD3+ cytotoxic T cell count. All monitored parameters including physical fitness and physical strength improved after the exercise. Conclusion. 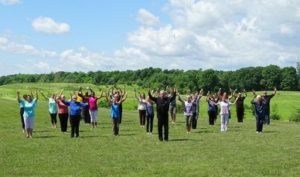 Tai Chi synergy T1 exercise improves autonomic modulation, body metabolism, physical fitness, and physical strength after 10 weeks of practice. Being overweight is a clear indicator of present or future health issues. Being overweight has been found to shorten life expectancy by eight years and extreme obesity by 14 years. This occurs because overweight is associated with cardiovascular problems such as coronary heart disease and hypertension, stroke, metabolic syndrome, diabetes, cancer, arthritis, and others. So, there is a need for treatments to reduced overweight. Similarly, free radicals are oxidants that need to be balanced with antioxidants. If there is an imbalance in the cells and the blood it produces a condition known as oxidative stress that has been associated with neurodegenerative diseases, gene mutations and cancers, chronic fatigue syndrome, fragile X syndrome, heart and blood vessel disorders, atherosclerosis, heart failure, heart attack and inflammatory diseases. So, there is a need for treatments to reduce oxidative stress. In today’s Research News article “Effects of yoga training on body composition and oxidant-antioxidant status among healthy male.” (See summary below or view the full text of the study at: http://www.ijoy.org.in/article.asp?issn=0973-6131;year=2018;volume=11;issue=2;spage=105;epage=110;aulast=Manna ), Manna investigates the ability of yoga practice to improve body fatness and antioxidant levels. They recruited young male (18-25 years of age) volunteers and randomly assigned them to either a yoga or no-treatment control group. The yoga practice consisted of postures, breathing exercises, chanting, and meditation for 60 minutes per day, 6 days per week, for 12 weeks. They were measured before and after training for body size and fatness and blood samples were analyzed for antioxidants, lipid peroxide as malondialdehyde, SOD, CAT, reduced GSH, and ascorbic acid. They found that in comparison to baseline and to the control group, yoga practice produced a significant reduction in percentage body fat from 14% to 10% and total body fat mass from 7.9 to 6.4 kg. In addition, yoga practice resulted in a significant increase in blood antioxidants. Hence, yoga practice resulted in less fatness and oxidative stress in healthy young males. The study needs to be interpreted with caution as the control condition was no treatment. There needs to be a comparison of yoga to other exercises to control for expectancy effects and bias and to determine if yoga is any better than any other exercise program in improving body fatness and oxidative stress. But, it is clear that practicing yoga for 12 weeks improves markers of physical health in young healthy males. This may help to maintain health and prevent disease in the future. It would be interesting to see if women and older adults obtain similar benefits from yoga practice. So, lower body fat and increase antioxidants with Yoga.